"Usually nothing good on the property is in a cardboard box." 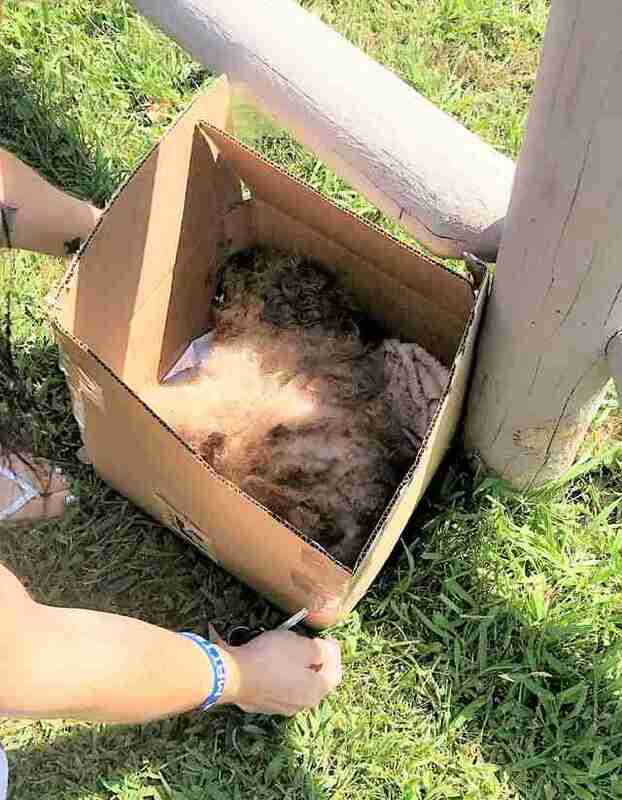 Meghan Lynch, a volunteer with Associated Humane Tinton Falls in New Jersey, was arriving for her shift at the animal shelter last month when she saw a cardboard box lying at the edge of the property. The small, closed box was sitting at the end of the road, lying in direct sun. With temperatures spiking at 105 degrees that day in the middle of an August heat wave, Lynch feared what might be inside the cardboard container — but opened it anyway. 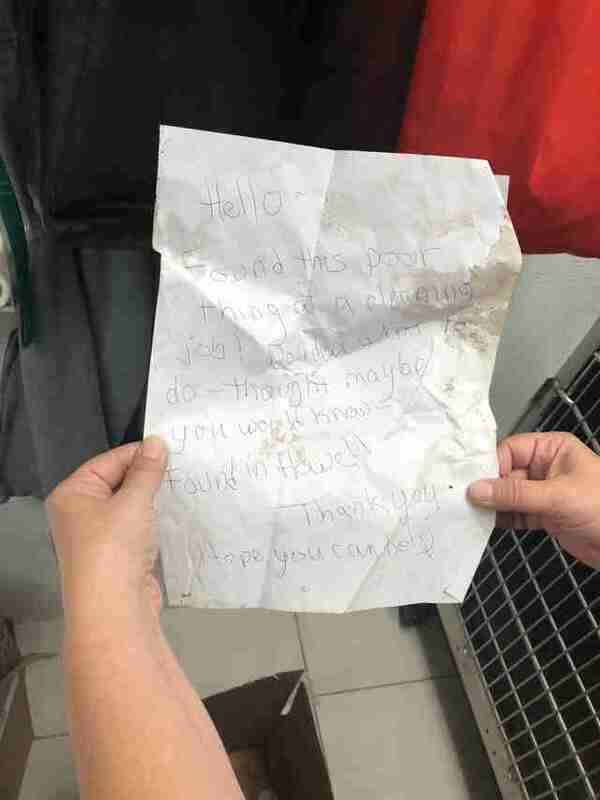 “Of course our instincts are always to open them because usually nothing good on the property is in a cardboard box,” Kim Tambora, marketing office coordinator for Associated Humane Tinton Falls, told The Dodo. Inside lay what looked like a pile of dirty, smelly fur and Lynch feared the worst. Then, she realized the little animal was breathing. The apricot poodle mix, later named Halle, was rushed inside and immediately put in a cool area of the shelter. 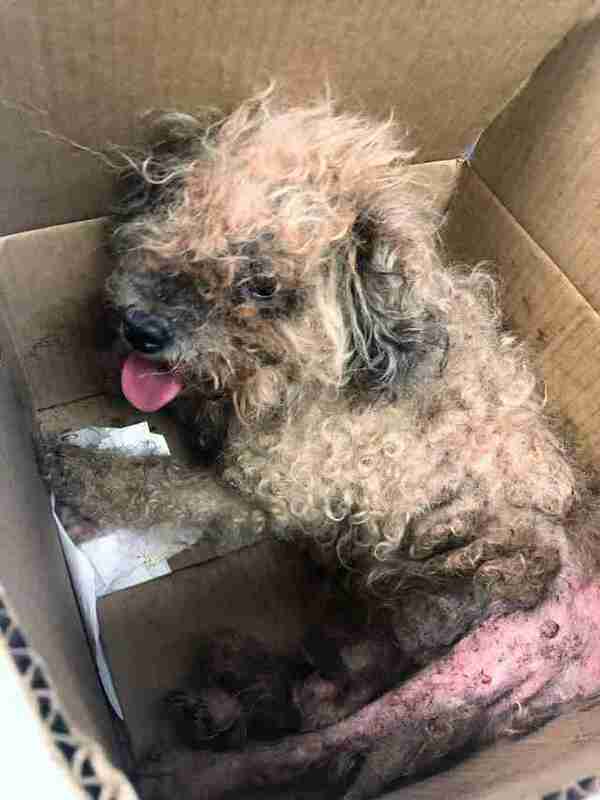 When Halle’s temperature started to normalize, the vet began to work on freeing the little dog from years' worth of mats. The staff was surprised by Halle’s reaction — or lack thereof — to being shaved. The dog, thought to be about 10 years old, was found to have chronic cataracts rendering her completely blind — but she doesn’t let it hold her back. Put food or a soft blanket down and she knows just what to do. But even though Halle is mobile, age has still taken a toll. 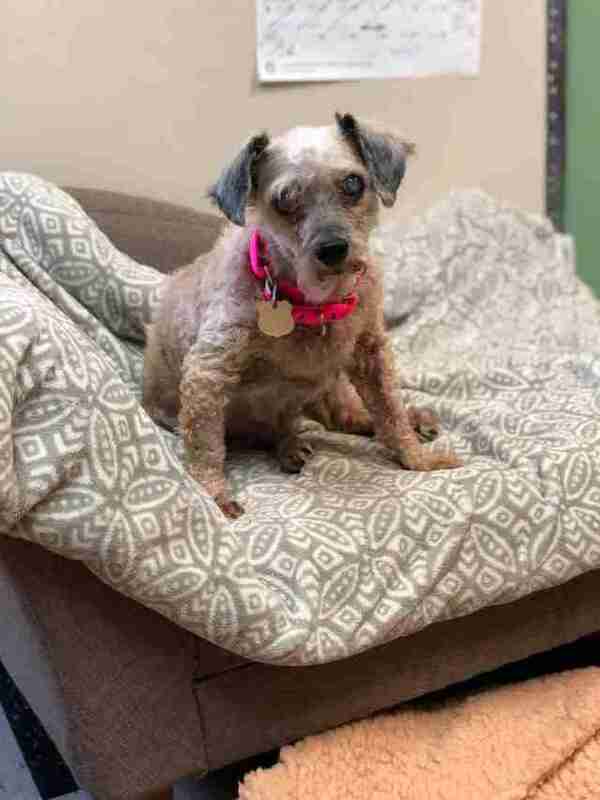 Ultimately, Tambora explained, Halle is a low-maintenance senior — all she needs to be happy is a bed and a nice quiet home where she can spend the rest of her days. And after so many years of suffering, Halle can’t believe she’s finally safe. Hopefully, that will be sooner rather than later. 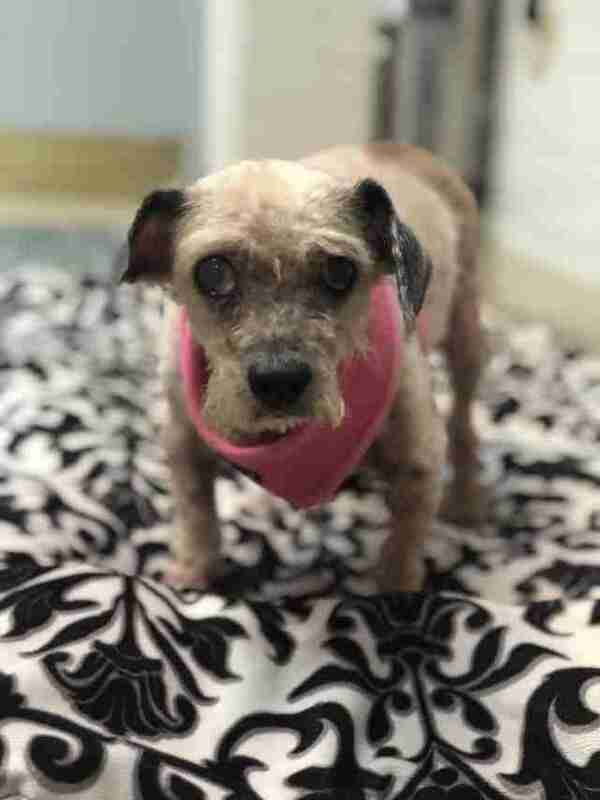 To adopt senior pup Halle, you can check out her profile on Petfinder.